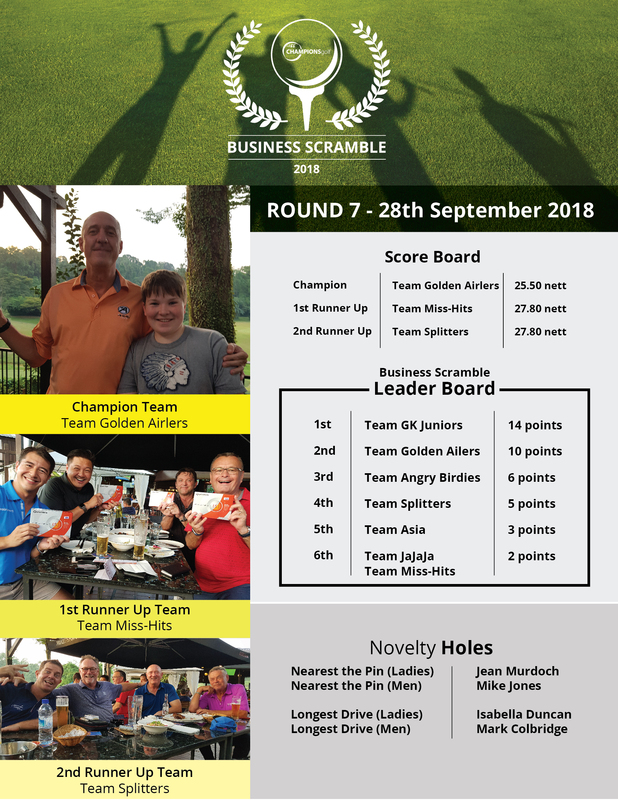 By invitation to all corporations, pubs, golfers and friends of Champions Golf. 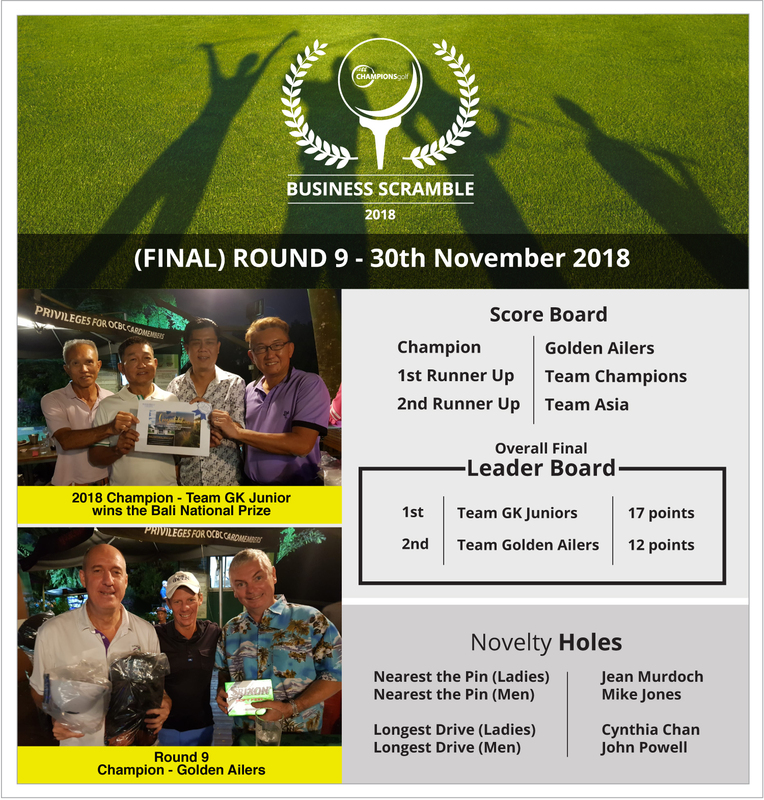 Champions 9-hole Public Golf Course located at 60 Fairways Drive Invite’s your corporation, pub, and friends to enter one 4-person team for our inaugural monthly Champions 9-hole Business Scramble Golf League! 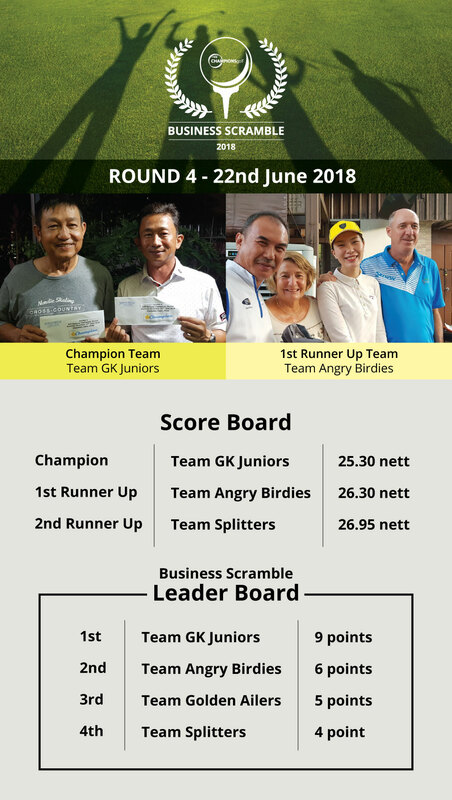 The entry fee is only $35 for per person for 9-holes including trolley and prizes. 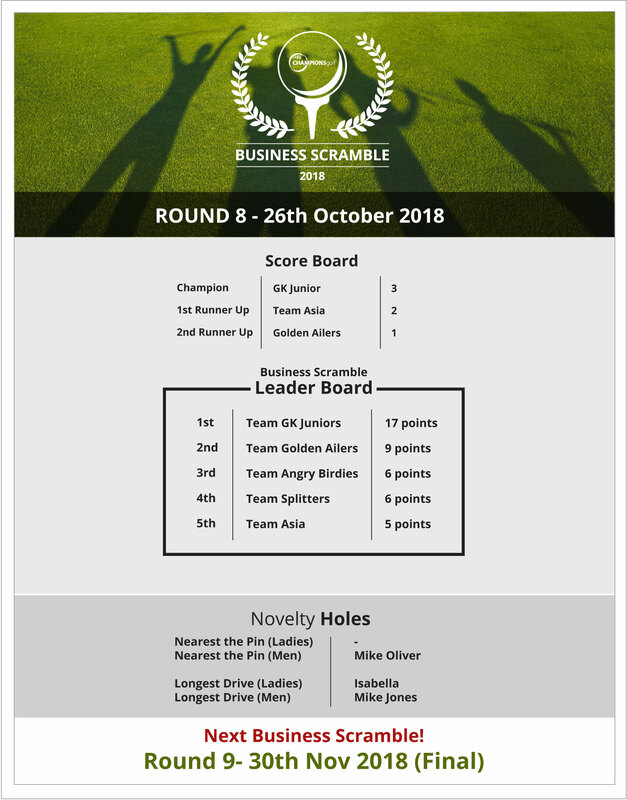 This Scramble will be held on the last Friday of each month with a yearly league points table. 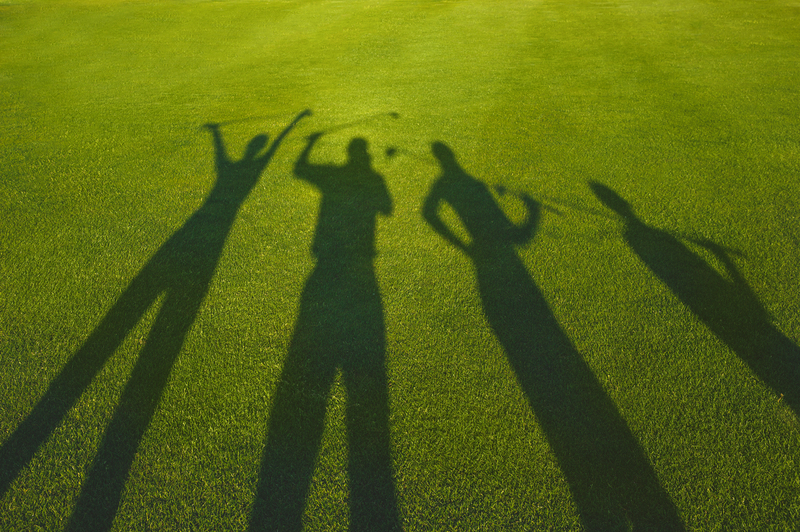 Any four players can represent any team @ each game. 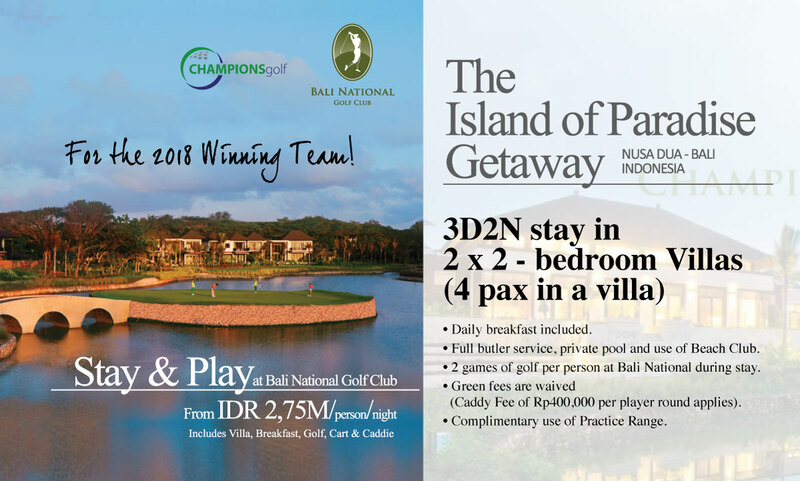 * Each Team Member must play a minimum 2 tee shots over the 9 holes. 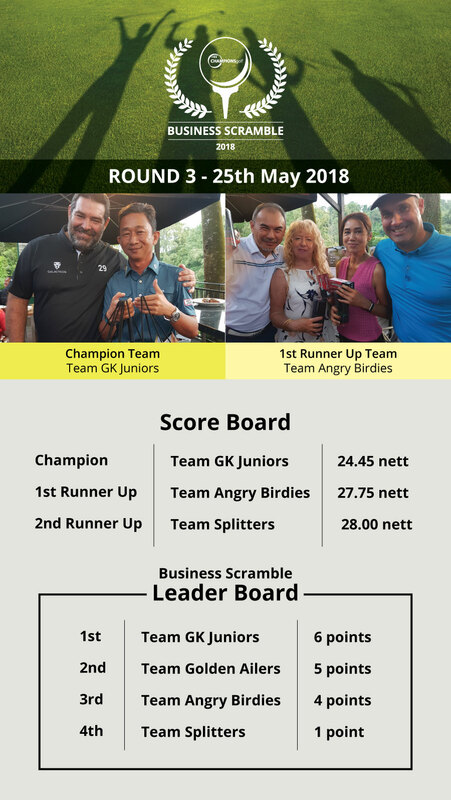 Bali National Champions_Picotin Business Scramble 2019! 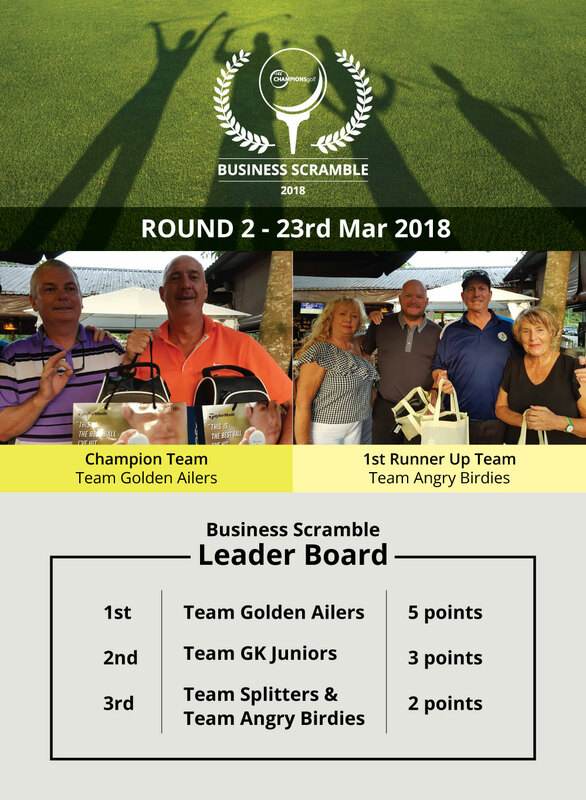 Business Scramble is held on every last Friday of the month.